The role of customer service is one that is values and well understood by many organisations. However making the leap from correlating customer service activities with overall-performance resultst to investing in strategies that deliver top-notch results is increasingly becoming a key differentiator. 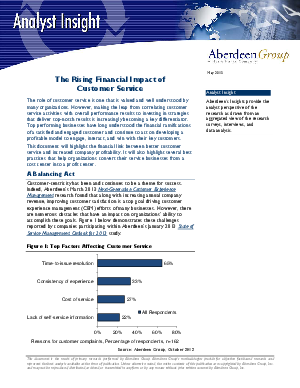 This document will highlight the financial liink between better custmoer service and increased company profitability. It will also highlight several best practices that help organisations convert their service business from a cost center into a profit center.